Many upholstered lounge suites can be cleaned using what consumers know as steam cleaning or hot water extraction. Hot water extraction is the single best way to obtain the cleanest results as you are actually washing the fabric. Some companies use dry cleaning methods which stull uses some moisture but trying to clean something without properly washing it is always going to end up secondary. 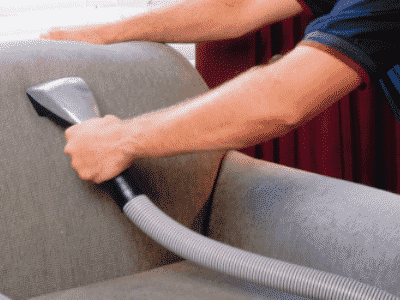 When it comes to upholstery cleaning in Rock Hampton, we promise to remove every single particle of dirt and grime so that the upholstery fabric can breathe again and come alive. Often we come across upholstery that is a specialised area like velour, calico, Indian cotton or a very dirty pure white lounge made from expensive white cotton. Using the wrong procedures on these things can result in permanent damage like yellowing or spotting of the fabric. We have cleaned many specialised fabrics and textiles over the years as some of our clients know us for such specialised work. We daily clean the average fabric which is about 90% of the upholstery cleaning in Rock Hampton. Call us today on 0419 266 161 and experience the difference a genuine upholstery cleaning professional can make for you. Remember… Quality upholstery cleaning is not expensive, it’s priceless!